Please enter baby's first name. Our new "My First Teddy" from Gund is the perfect first gift for baby! 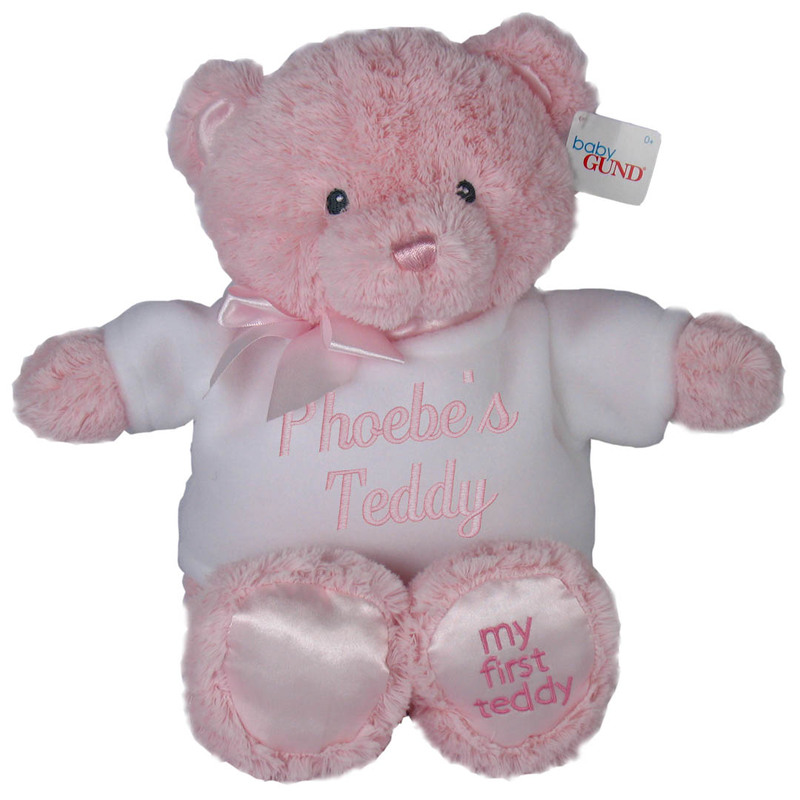 Adorable Pink or Blue bears are made of silky soft plush, have satin paws embroidered with "my first teddy", and are baby-safe, with embroidered eyes and nose. 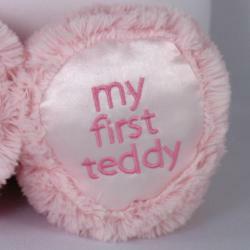 To make this an extra-special gift, we add a bear-sized shirt embroidered with baby's first name.